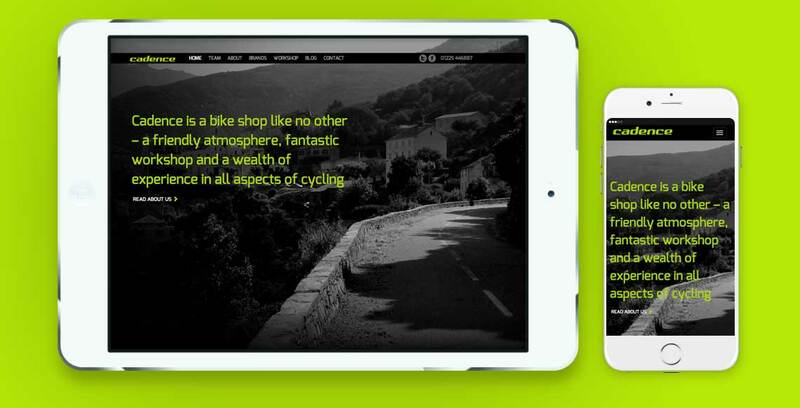 Cadence is an independent bike shop based in Bath with a friendly atmosphere, fantastic workshop and a wealth of experience in all aspects of cycling. The buying process at Cadence is both considered and refined, as well as highly personal. They are serious about bikes. 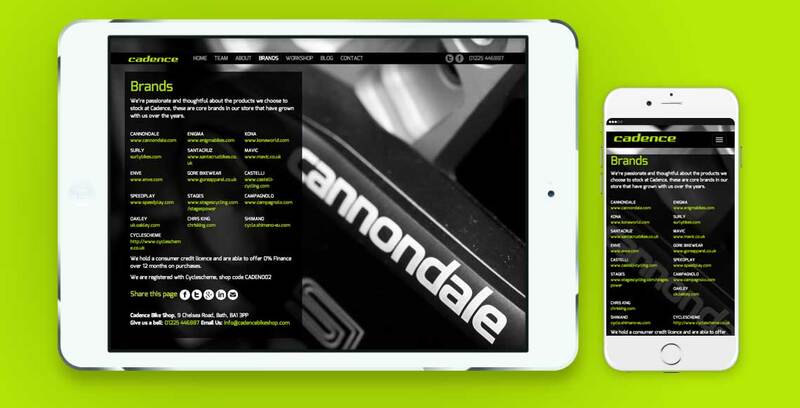 The attention to detail and dedicated staff,with experience in almost every conceivable area of cycling, is reflected in an image driven website with confident messaging, focused on the shop and its passionate team. 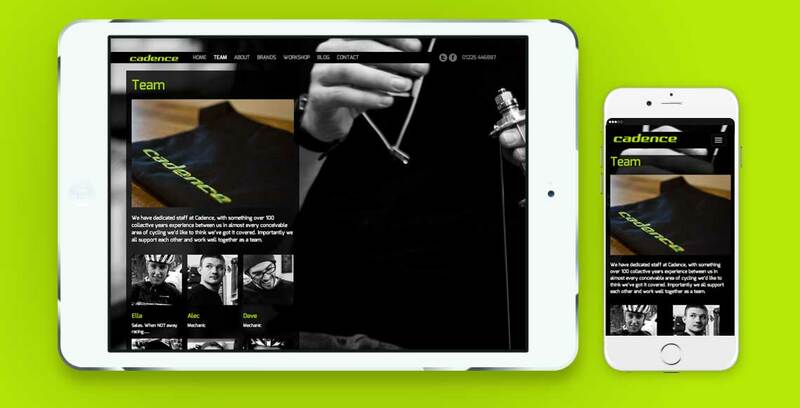 A slick, simple responsive website design with strong black and white photography tells the brands story.